Object Class in Java, In any object oriented programming language coding will be made up with classes and object, As every one know that object is nothing but an entity that have state, behavior. Object Class is the super most class in Java. Every instance, should inherit Object Class members. Object class is available in java.lang package. The following are few methods provided by Object Class. Public method,string return type.Returns the object address in string format. Public method,int return type.Returns hash value of the Object. Public method, boolean return type.Returns true if objects are same/equal. Protected method,void return type.Checks a objects contains reference variable. Protected method,Object return type.Clones an existing object. Public method,void return type, wakes up single thread, waiting on this object’s monitor. Public method,void return type, wakes up all the threads, waiting on this object’s monitor. Public method,void return type,causes the current thread to wait for the specified milliseconds, until another thread notifies (invokes notify() or notifyAll() method). The ToString() method of an object class returns a string representation of the object. The string representation format is fully qualified class name. The toString() method can be invoked explicitly or implicitly. Whenever toString() method is called using “dot” operator then it is known as explicit call. When reference variable is printed, java implicitly calls toString() method of that Object,return value of the toString() method will be printed. A subclass can override the toString() method of object class in such a case in the object user get overrided implementation. Object Class in Java, Following is an example to understand the toString() method. In the above code value of toString() is going to store in str. The hashCode() method of an object class is developed to return hash value of the object. The hash value is a unique integer number generated based on the object number. A subclass can override the hashCode() method of object class in such case the hashCode() method returns an integer number based on the overrided implementation. The hashCode() method is generally used to check whether two objects residing at the same address or not. Object Class in Java, Following is an example to understand the hashcode() method. The equals() method of an object class compares the current object with argument object.Returns true, if both the object are same else false. Comparison is done based on the address of the object. If current object is compared with another object based on the object fields, then equals() method is overrided. 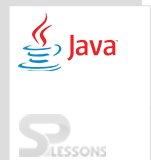 Object Class in Java, Following is an example to understand equals() method. The equals() method and == operator will have more differences such as follows. The equals() present in the java.lang.Object and it is used to expel equivalence state of an objects. The following is an example. Now the following is the way to check equivalence of the above two objects. When user compile the above code the result will be as TRUE why because the both objects have the same text. The == operator is utilized to compare 2 objects, it expels to find if the given objects refer to the same place in memory or not, the following is an example. In the above case the result will be as FALSE i.e “==” operator compares the objects location in memory. Object Class in Java, cloning() is used to for less processing task.